That shot was taken by the Japanese Akatsuki (“Dawn”) spacecraft, which entered Venus orbit in late 2015. This part is amazing: It was launched in March 2010 and arrived at Venus in December of that year, but due to a thruster misfiring it wound up not going into orbit around Venus initially. It orbited the Sun for five years, and incredibly engineers were able to insert it into Venus orbit using only its attitude control thrusters, very low thrust rockets used normally just to change the spacecraft’s angle to the planet. By doing so, they saved the mission. 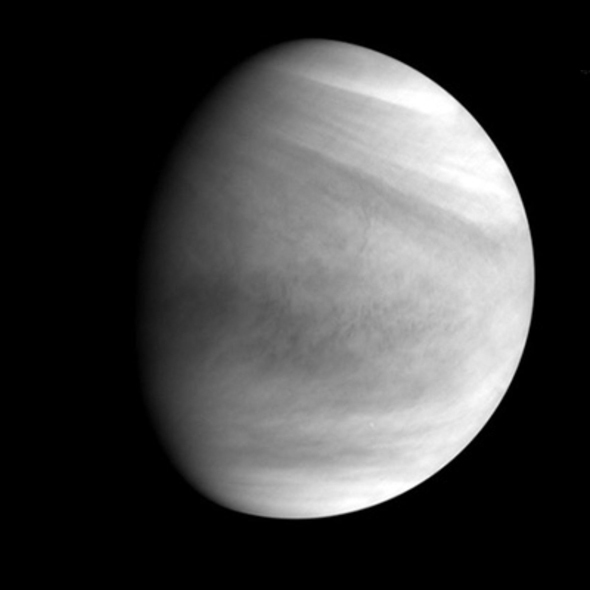 Update, June 13, 2016: Mark McCaughrean, senior space adviser for the European Space Agency, reminded me that the ESA Venus Express probe also took amazing images of Venus. To be honest, this simply slipped my mind! I’ve thought about this before; we’ve had so many missions to so many planets now that it can be hard to remember them all. What times we live in! I’ve written about Venus Express many times, and because why not, here’s NASA’s Magellan mission, too. 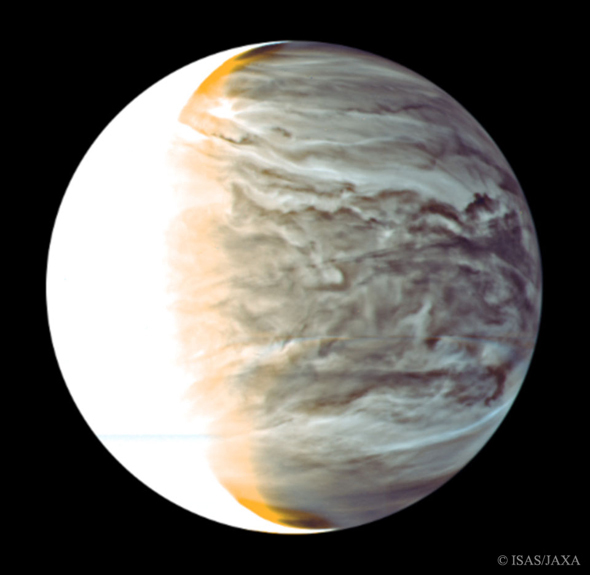 Magellan imaged more than 98% of Venus at a resolution of about 100 meters.